Play It By Ear - Martin Chauhan, Samir Krishnamurti, Tushar Pandey and Sarthak Bhayana - are an indie rock band. After meeting in college and years playing in the same and different bands, they decided to put all their songs inspired by indie rock, folk, and country into a new avatar. 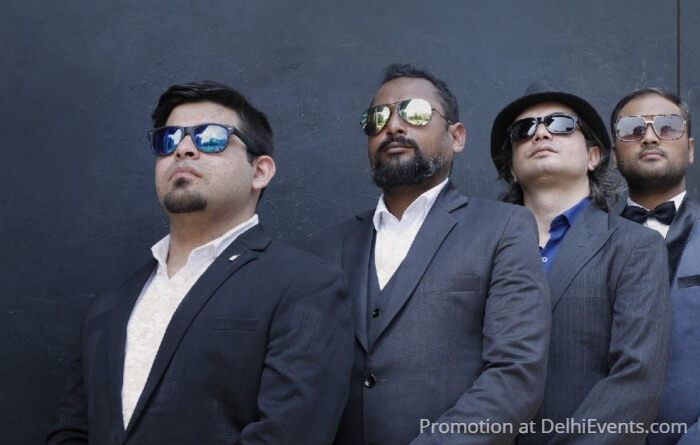 After a year of gigging, accompanied by three competition wins, including the Songdew All India Renault ‘Free The Music’ competition in April 2015, they decided to go professional, and released their first EP - Listen - in June 2015. They released their first video single, ‘Listen’, in January, 2016 and their first album - Flicker Flicker Flash - in March 2016. In 2017, they were selected by Abbey Road Studios as the winners of their All India Mixing and Mastering competition. They have been interviewed by two of India’s most popular radio stations, All India Radio and Radio One, and featured in the UK based Scribbler and Soundsphere magazines. They released their second video single, ‘Everyone’, in December 2017. The show at The Piano Man Jazz Club marks the Launch of their second Album - 'Press Play'.